Pat Forde looks at concerns that the number of schools sponsoring Men's Olympic Sports could continue to dwindle as more and more resources are absorbed by men's basketball and football. UT Arlington added women's golf. The Horizon League committed to full cost-of-attendance stipends for men's basketball and an equal number of female athletes. Cardinal Stritch (NAIA) announced they are dropping five athletic teams including baseball, men's and women's bowling, dance and cheer. The Vermont Cynic (a student run paper) is calling for the reinstatement of baseball and softball, which were dropped in 2009. They reference support from the student government and Vermont legislature as well as the presence of club programs as part of the rationale to reinstate the program, although there doesn't appear to be any funding associated with desire to reestablish the programs. The Ohio State University - Newark is dropping their entire athletic program. Three-time university president Peter T. Mitchell presents a plan to save Sweet Briar College, that he believes should be applied to many other liberal arts colleges to save themselves from a similar fate. The proposal includes the elimination of intercollegiate athletic programs, suggesting it would save $1 million dollars annually. 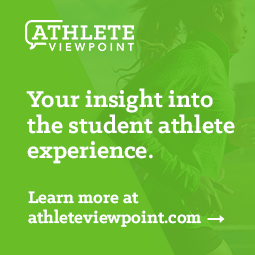 Omitted from the article is an acknowledgement that the student athletes - who make up 10% of the student body - would likely leave and take with them their academic interests, diversity and intellectual contributions as well as their tuition revenue (approximately $2.5 million annually using his estimate of a $25,000 fixed tuition price) when they depart the Division III non-scholarship institution.